Troll promotion actually works? With no release date confirmed, everyone’s talking about ANTI a’d it's almost all positive. With less than 30 days left in 2015, one has to wonder if we will ever be blessed with Rihanna's album ANTI, fka #R8. Although she's announced a world tour which went on sale Thursday morning, there is still no confirmed release date for the project. What we do know for sure is that only two out of eight rooms have been revealed in the Samsung virtual reality game that's rumored to be connected to the album's release, as part of her rumored $25 million deal with the electronics company. There were nine days between the opening of the first room and the second room. If the game follows the same pattern, the last room will be opened on January 21, 2016. None of this confusion, though, seems to be slowing Rihanna down. Just this week, Spotify announced that she was the most listened to female artist of the year globally. And according to Crimson Hexagon, a social media and big data analytics firm based in Boston, all of this is actually helping Rihanna. Benjamin Cockerell, director of global marketing at Crimson Hexagon, said that contrary to what some people might think, the mystery surrounding the album isn't hurting Rihanna at all. 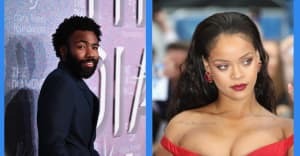 "Looking at the social conversation surrounding ANTI and Rihanna, we can see that any mystery surrounding the album release date has not stopped fans from expressing their loyalty, excitement and -- importantly -- buying tickets for the ANTI World Tour," he wrote in an email to The FADER. According to a report from Crimson Hexagon. the conversation around ANTI on social media has been significantly more positive (22 percent) than negative (3 percent); the remainder of posts can be categorized as neutral. It's also worth talking about the positivity around her world tour. According to CH's findings, "conversation about the ANTI World Tour specifically is 33 percent positive, 66 percent neutral and just 1 percent negative." "It's a testament to Rihanna's influence that she's able to generate so much excitement among fans about the tour before they've listened to the album," Cockerell continued. "This is also interesting from an industry perspective in terms of fans' loyalty to their favorite artists and the excitement surrounding live events." Just know that you're in the minority.